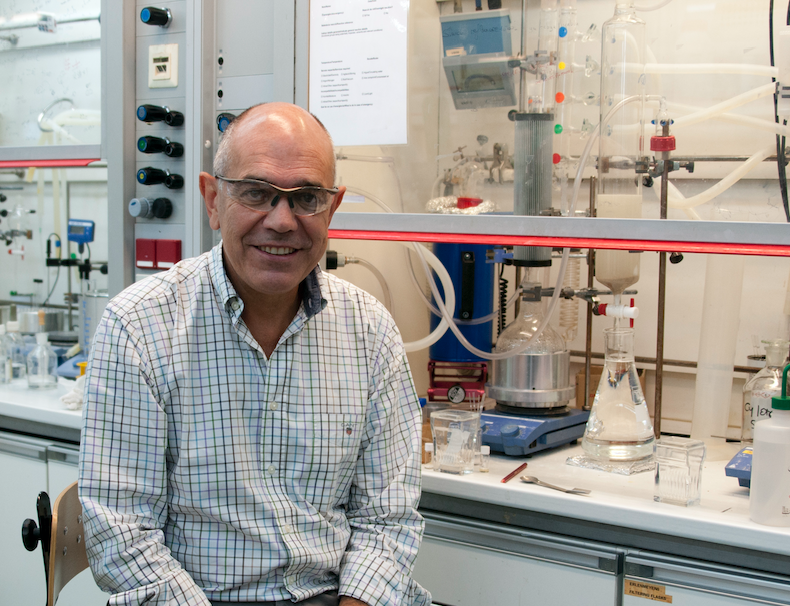 Antonio M. Echavarren, ICIQ group leader, has obtained a new Advanced Grant of € 2.5 million from the European Research Council (ERC) to develop new types of catalysts inspired by natural cyclase enzymes. His previous Advanced Grant (2013-2018) had focused on the discovery of new catalytic gold chemistry. The project, entitled Catalytic Metallofoldamers of biological inspiration (Foldmetcat), aims to design and develop catalysts (molecules that intervene in the chemical reaction, increasing their speed without being consumed) that transform linear organic molecules into cyclic structures in a single step. The project has the potential to make more efficient the manufacture of drugs such as the anti-tumor taxol. The originality of the new project proposed by Echavarren has made it one of the selected projects out of a total of 2052 proposals presented in the call ERC-2018-AdG. Only one in ten projects submitted has been selected for funding – ten of the selected projects belong to Spanish institutions. This is the second Advanced Grant granted to Echavarren, who was recently also been awarded a Proof of Concept project for the development of efficient routes for the synthesis of polyacenes. With the new project, ICIQ adds a total of 19 ERC projects – seven currently in force. “Nature is very wise, but that’s because it has had millions of years to optimize its processes. We intend to do something similar in five years,” smiles Echavarren. The project has a double objective. On the one hand, develop new types of artificial catalysts (polymetallic catalysts) that mimic the functions of the cyclase enzymes and obtain structurally complex molecules in a precise manner – in a single chemical transformation, as nature does. On the other hand, the research group wants to understand how to control cyclization processes to end up creating molecules with new architectures, which are not found in nature. The research group will use the economic endowment to provide itself with the most advanced equipment for the analysis of complex mixtures, as well as for the computational work required for the design of artificial catalysts. “If this new strategy works, we will obtain artificial molecules [that are not found in nature] with the potential to develop new and more powerful drugs,” explains Echavarren.